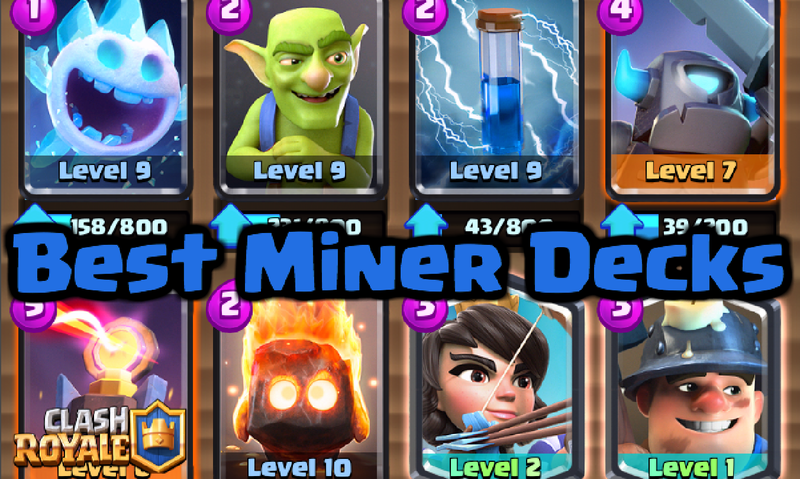 The miner is one of the best cards in Clash Royale, and you need the best deck for the miner for all arenas, whether arena 6, 7, 8, or 9! 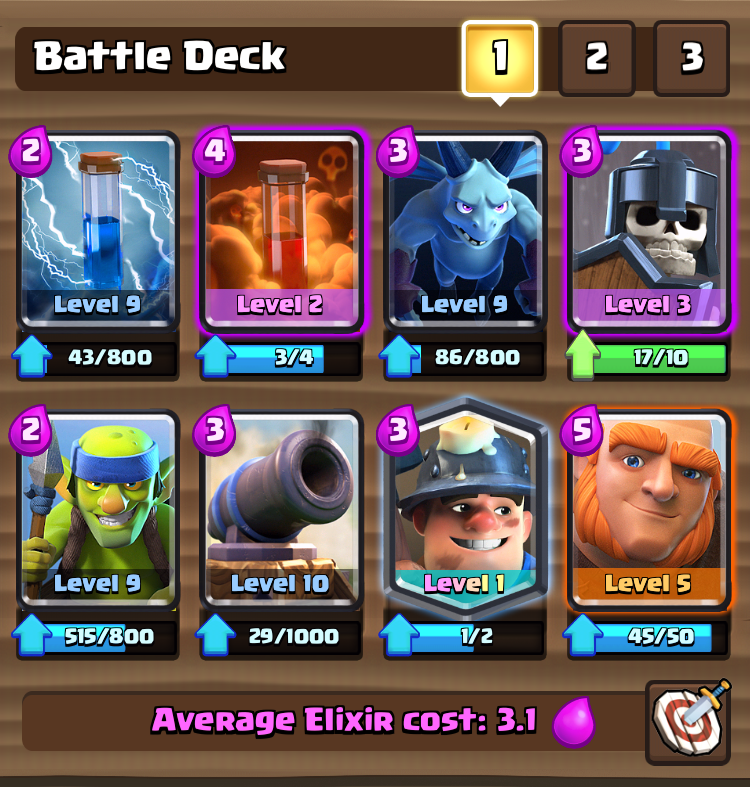 These Clash Royale miner decks are the best I could come up with in the current meta in October 2016! Pick out your favorite and enjoy climbing up in trophies! Out of any of the decks, I will be sharing, this is the best and the most fun to use! This is actually the deck that I use, trying to chip away damage at the tower until it goes down! You want to be able to utilize each of the cards to take out the tower a little bit more each push. This is great for doing with the princess and the miner, along with the ice spirit to buy you a couple more shots. The inferno tower is your most expense card; it allows you to take out big units your small units wouldn’t regularly be able to take down. 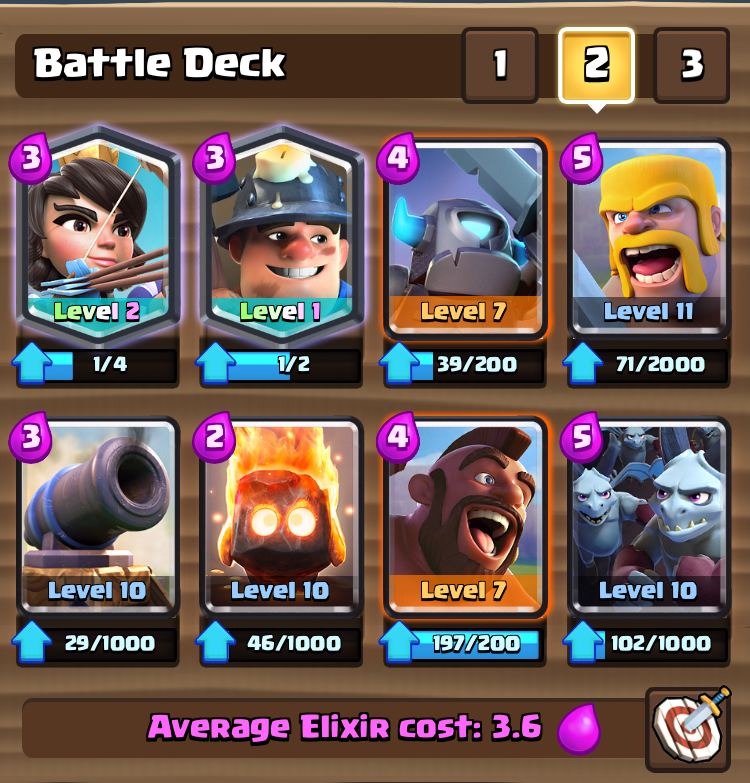 This miner deck is similar to the previous miner deck, except it has bigger units like barbarians and minion horde which makes you have no need for the inferno tower. 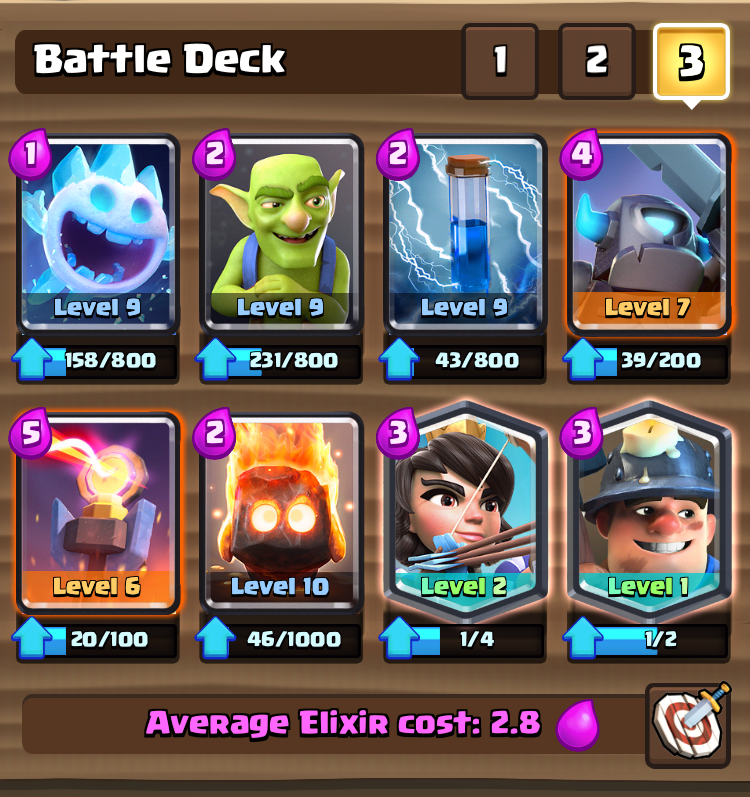 With this deck, there are numerous different pushes: hog-mini-P.E.K.K.A.-fire spirits, miner-hog-princess, etc. Barbs, minion horde, and the cannon should be saved for defense while the other 5 cards are meant to design various pushes. This deck is similar to the popular giant-trifecta/giant-poison meta that is in Clash Royale right now, but this miner best deck is a great variation of those decks! Your whole purpose is to build up a push by placing a giant in the back. Once it gets to the front you send a miner across, followed up with a poison and spear goblins/minions. On defense, just use the minions and guards to fend off any attacks coming your way! Thanks for reading about these best miner decks! This is going to be a new series every Friday or Saturday; having decks based around a different card each time. Vote on what card you want to see next! Thanks for reading, and I will see you guys soon! Definitely! A level 2 miner will help a lot!